What if multiple truths can exist in a single reality? How many of us feel confined to the labels we’ve been given, and what does it look like to create new narratives for ourselves? Ernesto Rocha, lovingly known as “Undocubae”, is a sought out storyteller and community organizer who is unapologetic about his immigration status. Listen as we dive into how mindfulness has played a crucial role in overcoming “Imposter’s Syndrome,” and how returning to breath has given him the confidence to share his story on stages such as TedX. My spirituality needed to connect to my brain. There was a sense i was missing something. And thankfully i found Thich Nhat Hanh’s book, Peace in Every Step, and i have never read any other book as fast as i read this book. One of the most important visuals that i have when i step on stage is water and a sequoia tree. And i always think about the ebbing and flowing of the ocean and as i’m about to go on stage, the ocean is doing its thing. And the sequoia is still growing, it’s still providing shade, and we are just fine. And so we struggle through the conversations, and we talk about the difficult stories, the trauma if you will, and then i take a moment to breathe and know that sequoia is still there. The water still flows. 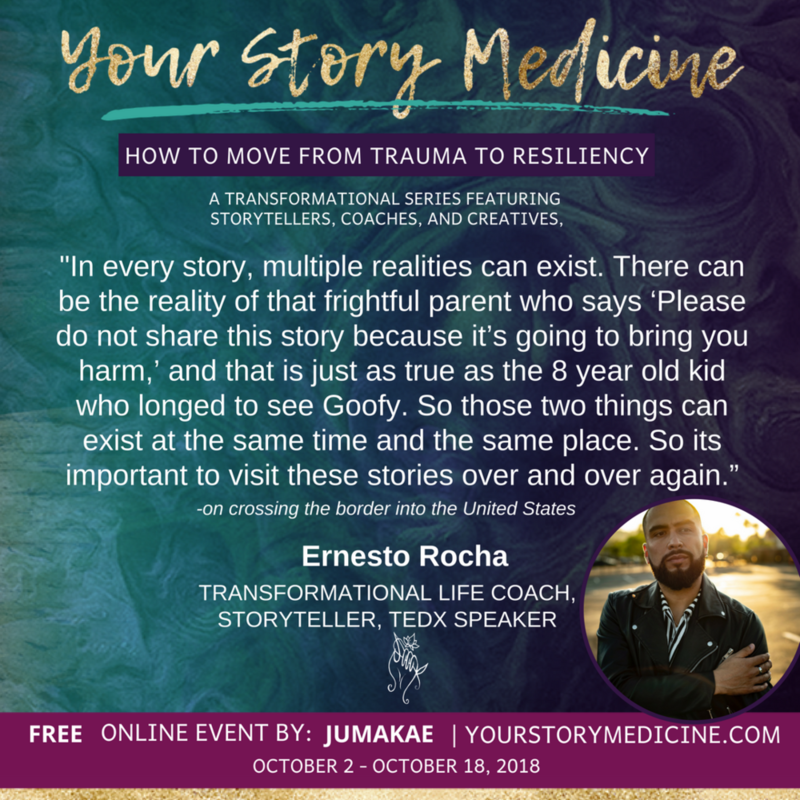 Ernesto Rocha is an organizer, storyteller, transformational coach, TEDx Speaker, and advocate for social, racial, and economic justice. Ernesto's twelve years of organizing experience include working and advocating for immigrant rights and low wage workers in various industries, including nursing homes and port trucking. An avid storyteller, Ernesto co-created Cocoon Storytelling, a bi-monthly, live storytelling platform designed for people of color to share their lived experiences with their communities as a way to heal, transform and liberate themselves from their current conditions. Most recently he delivered his first TEDx Talk at CSULB entitled, I AM NOT My Status: Perspectives of an Undocumented Immigrant. In it he explores the theme of identity formation and the process of personal liberation through storytelling. He graduated from UCLA in 2016 with a Bachelors in Political Science and Chicana/o Studies.